This week, we’ve been in Bentonville, Arkansas for the 3rd annual Bentonville Film Festival (BFF). Co-Founded by Geena Davis and Trevor Drinkwater, BFF is a 5-day festival that champions women and diversity in film and television. 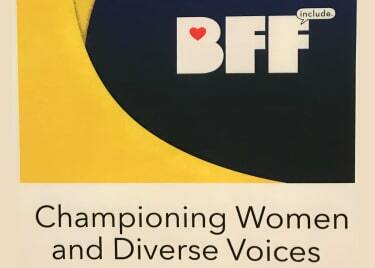 While at BFF, we attended compelling panels focused on topics that included telling stories that matter, the importance of inclusion and diversity in front and behind the camera as well as some candid conversations with women from film, television and corporate. We were also treated to screenings for a few upcoming films, including Paris Can Wait opening May 12, Everything, Everything opening May 18, and Lowriders opening May 12. One of the highlights from the festival was a panel in which Geena Davis and a few of her celebrity friends came together to swap gender roles while reading scenes from some of Hollywood’s favorite scripts to expose implicit bias. During the panel, which featured actresses Meg Ryan, and Brooklyn Nine-Nine cast members Melissa Fumero and Stephanie Beatriz, the panelists engaged in an honest conversation about working in the industry. Here are some of the quotes and all around gems they shared during their discussion. If they could play any male character, who would they choose? How can women influence future roles? Is it a great time to be a girl?